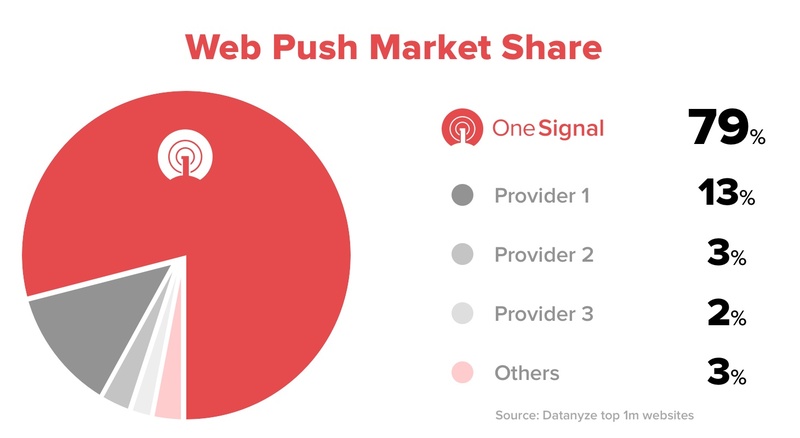 OneSignal is the largest Web Push notification platform, approaching 79% market share according to Datanyze and other web tracking services. 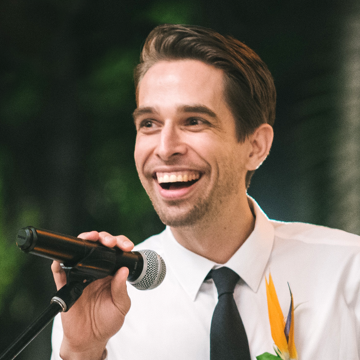 Despite our market-leading position, we felt the process of setting up web push was too difficult - it required writing code and figuring out the necessary settings to get it set up correctly on your website. To simplify this process, we recently released a visual configuration interface that makes it a breeze to quickly set up and customize your OneSignal Web Push implementation. 1. 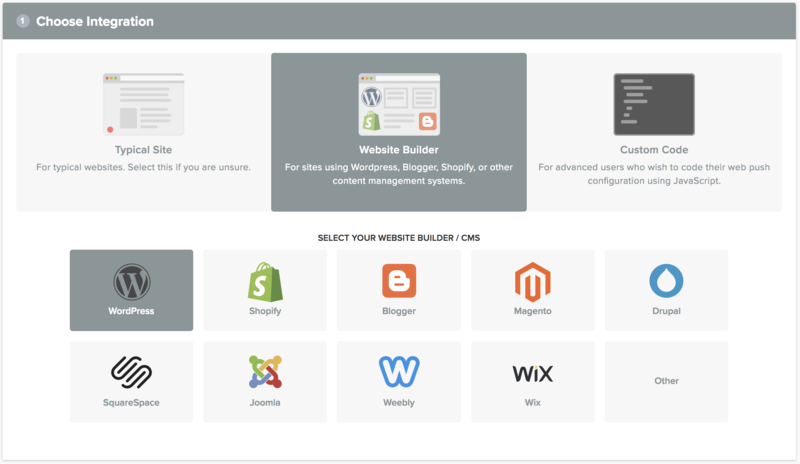 OneSignal now has a streamlined setup process for popular content management systems, including WordPress, Blogger, Shopify, and more. 2. 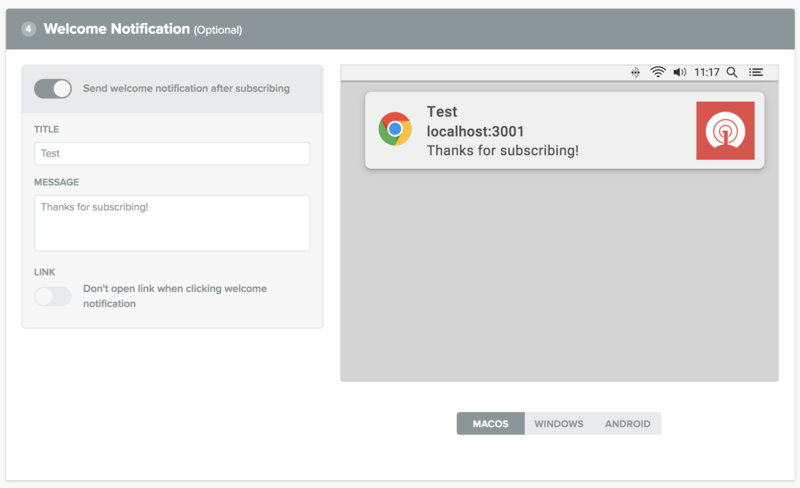 OneSignal now makes it easy to configure how users are prompted for notification permission, including customizing the prompts for your website's content and language. 4. 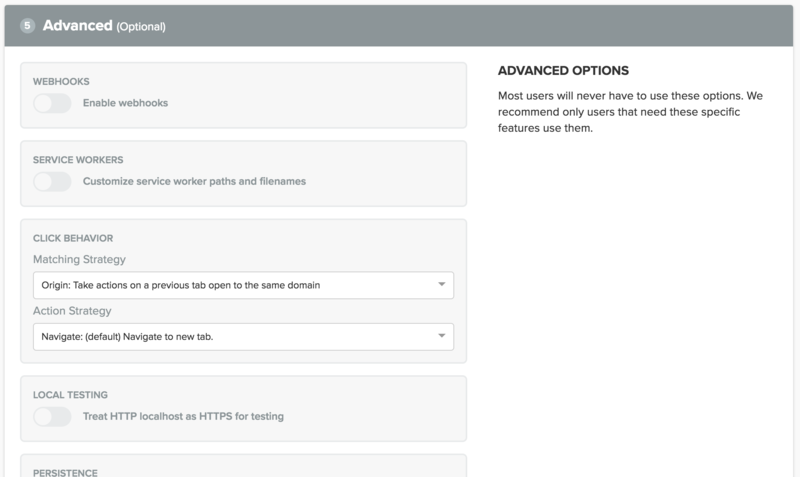 We've made it even easier to customize advanced options including webhooks, PWA compatibility, localhost testing support, notification persistence, and more. 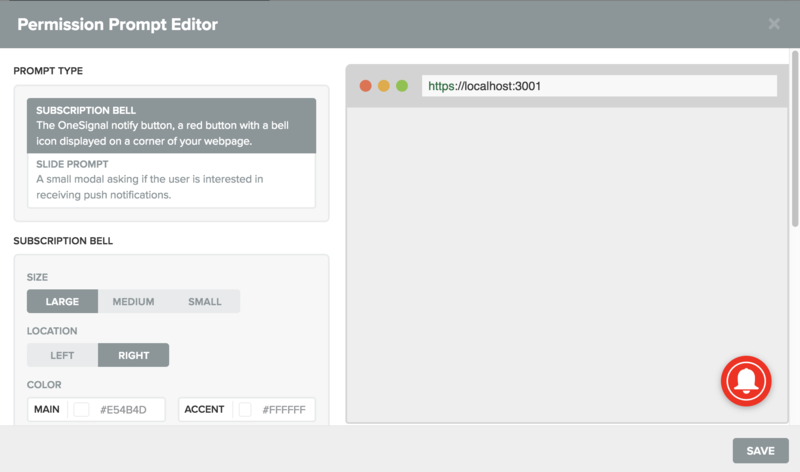 Best of all, any changes made in this new visual editor are immediately applied to your website. For existing clients or clients who need an extra level of customization, you can continue to fully configure all of these options programmatically using our Custom Code integration option. 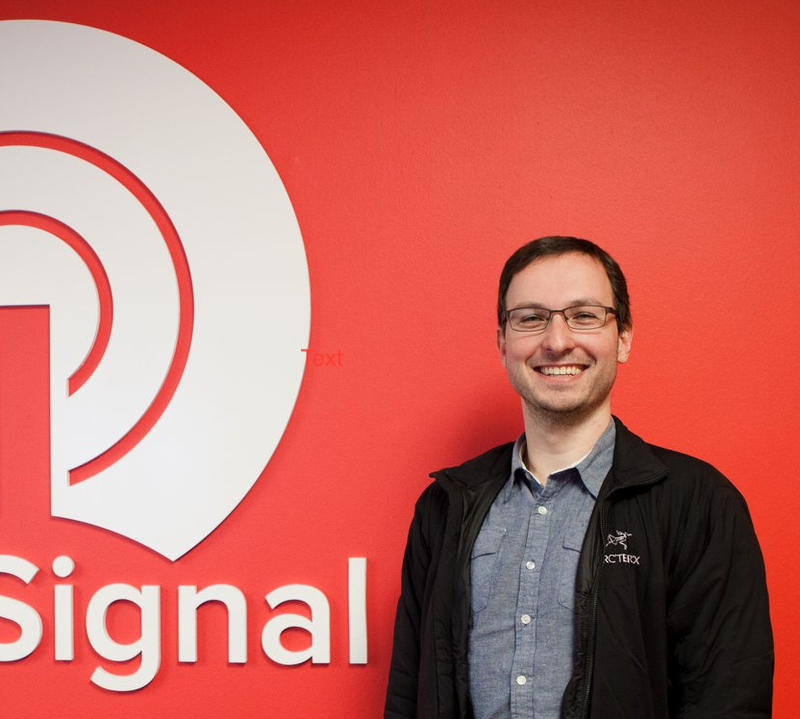 OneSignal is the most popular, most powerful, and the easiest to use platform to send Web Push notifications. If you're not already on board, you can get started here.